The February edition of the Monitor is now online. 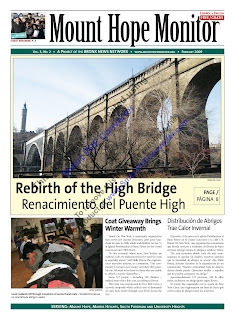 The upcoming renovation of the High Bridge, and its planned reopening in 2012, will bring two boroughs together again. A Bronx assemblyman has convinced the mayor of Santo Domingo in the Dominican Republic to rename a street there after Dr. Martin Luther King Jr.
Crime in the 46th Precinct was down 10 percent in 2008, despite, or arguably because of, some 14,000 arrests in the area, a city high. 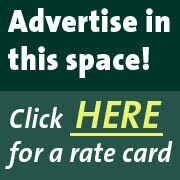 Read our regular Crime Watch feature here. Piggybacking on President Obama's call for a "new era of responsibility," here's a list of local organizations looking for volunteers.